Wrathful gods, passionate yet vengeful goddesses and divinities of mercy and death dominated religious life in the ancient Near East for thousands of years before evolving into the One God of Israel. 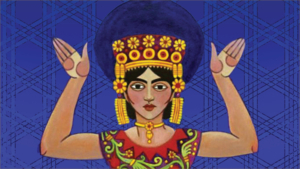 In this course, you will meet these divine predecessors where they originated in Mesopotamia and the Levant and discover how they were adapted, transformed, inverted and subsumed into Israel’s One God. When the Talmud was completed in 6th-century Iraq, no one could have imagined that it would become the most influential Jewish book ever written. From the Islamic world to the Christian one, from North Africa to North America and the 10th century to the 21st, no written work has had more significance for Jews — and how others see us — than this volume. We will study the Talmud’s reception and impact, exploring the history of the Jews through our most important work. 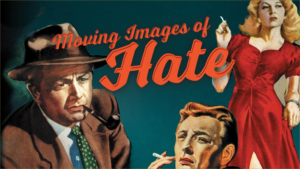 Since World War II, Hollywood filmmakers have repeatedly, often reluctantly, explored the hate that will not die, in the American context. But how have those explorations changed over time? To discover the answer, we will begin by watching movies from the immediate postwar period, when anti-Semitism was at an all-time high: Orson Welles’s The Stranger (1946), Gentleman’s Agreement (1947) and Crossfire (1947), which together were nominated for thirteen Academy Awards, winning three. We will then fast-forward to modern representations of anti-Semitism in School Ties (1992) and two 2001 films: The Believer, with Ryan Gosling, and Focus, based on an Arthur Miller novel. 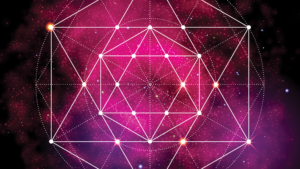 The textual wellspring of Kabbalah, the Zohar, has long influenced Jewish and Christian scholars, mystics, teachers and laypeople. The wisdom that pours from its pages has been described as written by someone who “experienced the common fears of Mankind as profoundly as anyone.“ In this second part of our Kabbalah course, we begin to explore Zoharic concepts of Divine Thought and Will; Language as the building block of Creation; Man, the centerpiece and purpose of Creation, and the Image of God. Part one of this course is not required for participation in this class. The binding of Isaac can be considered one of the most challenging stories in all of biblical literature. 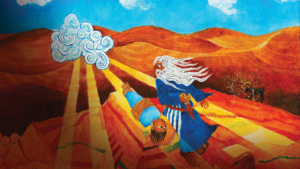 Since Jewish tradition does not shy away from controversy, we will wrestle with the story to bring our individual understanding of the world to it using Oral Tradition and respond through the creative process in the classroom and in the studio. 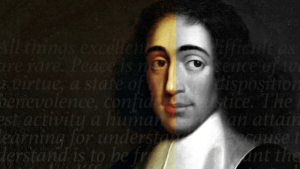 Baruch Spinoza’s excommunication might not have been an auspicious beginning for modern Jewish philosophy, but it has flourished nonetheless as traditional assumptions that had served Judaism well for over two thousand years began to appear far more questionable. 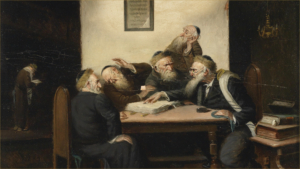 While the Medievals were certain that the Torah was written by God, its laws eternal and meant for his chosen people, these axioms became less obvious to modern thinkers. In this course we will find out what got Spinoza in trouble, and how thinkers like Moses Mendelssohn, Hermann Cohen, Martin Buber and Franz Rosenzweig responded. This course will help you acquire enough Hebrew to begin speaking and understanding in a relatively short period of time — even if you have no background in the language. By the end of the sequence, you should be able to engage in basic conversation on everyday topics, including introducing yourself, talking about your family, your work, where you live, the weather and where you study. You’ll also be able to order food in a restaurant and ask for directions. 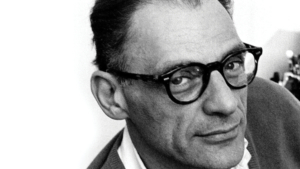 Miller’s Death of a Salesman and The Crucible, among other masterworks, established him as one of the great American playwrights of the 20th century, and no other American playwright has been as prolific in writing about the Holocaust. In this class, we will discuss four of those plays: After the Fall, Incident at Vichy, Playing for Time and Broken Glass, as well as the influence of Judaism on his life and career. 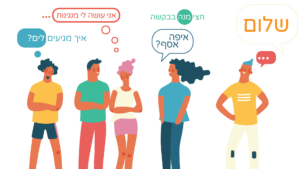 Ask questions, explore multiple perspectives and discover what is meaningful to you in liberal Judaism. 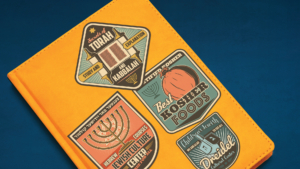 We’ll explore Jewish holidays and life cycle ceremonies, beliefs, values, prayer, texts, Israel and the American Jewish experience. This second half of our 18-session course is designed for anyone who wants to gain a deeper understanding of Jewish life, no matter faith, tradition, cultural background or religious upbringing. Interfaith couples are welcome. The momentous discovery of the Dead Sea Scrolls opened a window into the tenets and beliefs of early Judaism at the time they were developing. Who were the authors/transcribers of these manuscripts? Why did they choose to reside in the remote desert? What does the text tell us about the Bible and beliefs about the Jerusalem Temple, evil, the calendar, the end of time and the Messiah? 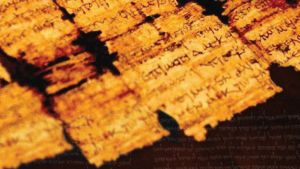 Viewing Judaism through the lens of the Dead Sea Scrolls, one of the few primary sources from the Second Temple era, will deepen our understanding of Judaism today. 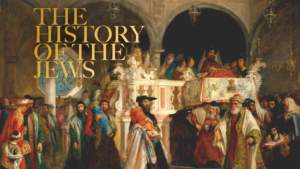 A continuation of the Introduction to Ancient and Medieval Jewish History, focusing on the early modern and modern periods. We will read selections from classic texts of Jewish civilization to determine what they teach us about their authors, the times in which they were written and what they have meant to readers both past and present. No prior knowledge of Jewish history or languages is required. Participation in the first semester course is not a prerequisite.